There are five books that have greatly shaped my understanding of the kingdom of God. These are my top-five and the books that I recommend to pastors, students, and anyone interested in the theology of the kingdom. 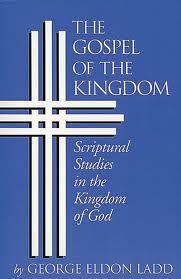 #5 – The Gospel of the Kingdom: Scriptural Studies in the Kingdom of God, by George Eldon Ladd. Yes, Ladd is a prominent figure in my list, as you’ll see. This is a fairly short book (143 pages) and was the first book I ever read by Ladd. It blew my mind. Ladd makes the case that Jesus’ central message was… the kingdom. Through The Gospel of the Kingdom, Ladd demonstrates through the teachings of Jesus that Jesus inaugurated the kingdom through his life and ministry (as well as death & resurrection!). This is a great place to begin. 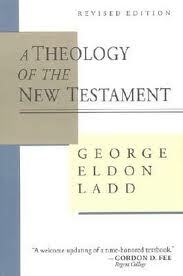 #4 – A Theology of the New Testament, by George Eldon Ladd. How does an “already and not yet” framework shape NT theology? What does each book of the NT have to say concerning this topic? How does it all fit together? Ladd’s NT theology is rich with kingdom substance. This is Biblical Theology being shaped by inaugurated eschatology from start to finish. Fantastic stuff. If you don’t own a NT theology, this is the first one to get! My only complaint is that it’s not as comprehensive as one would hope for (the treatment of some NT sections, e.g., Hebrews, is not as robust as I’d like). But over-all, it’s really good. 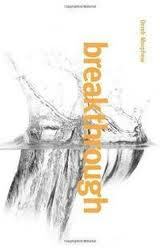 #3 – Breakthrough: Discovering the Kingdom, by Derek J. Morphew. This is the best Vineyard perspective on the KOG. It’s easy to read and essentially unpacks the “heavier” scholarly work (e.g., Ladd). Morphew does a great job of tracing the OT and NT perspectives of the kingdom and then providing a clear cut section on the implications of inaugurated and enacted kingdom theology. Thus, we have a specific way of living in the kingdom with specific commitments to the active rule and reign of Christ, demonstrated through the work of the Spirit through the church. All Continuationists need to read this book. 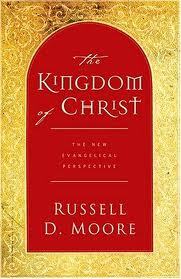 #2 – The Kingdom of Christ: The New Evangelical Perspective, by Russell D. Moore. For evangelicals interested in how the “already and not yet” kingdom framework should be integrated into our movement, this is the place to begin. To be honest, I think this book is overlooked by a lot of theologians and pastors, which is too bad. It’s full of insightful theological thinking and the best treatment of how inaugurated eschatology impacts ecclesiology. Indispensable, as far as I’m concerned. #1 – The Presence of the Future: The Eschatology of Biblical Realism, by George Eldon Ladd. I’ll be honest here. This book will always be my number one, even if there are other books that I actually enjoy more (e.g., Morphew and Moore). Why? Because it was the first real scholarly book on the kingdom of God that I read, and it provided more substance and support for what I had already read in Ladd’s The Gospel of the Kingdom. Ladd traces the kingdom through a redemptive-historical perspective and demonstrates, conclusively, that the kingdom began through Jesus and will be consummated after Christ returns. There’s a fair big of “already and not yet” eschatological discussion, which shows why the subject is not just concerned with Israel, Jesus’ ministry, and the future. It also matters for the church now. This is the scholarly backbone for how the Vineyard Movement understands Continuationist theology. Honorable mentions: N.T. 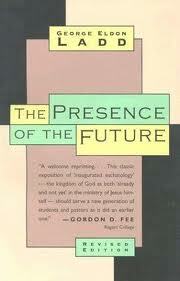 Wright’s Surprised by Hope and Anthony A. Hoekema’s The Bible and the Future. Both contribute to the theology of the kingdom in insightful ways. Check out “HEAVEN ON EARTH: EXPERIENCING THE KINGDOM IN THE HERE AND NOW.” Fast becoming the new standard for the 21st century. Do you believe in the kingdom now theology? Yes. It is what Jesus preached. Pity we have church leaders that don’t. I wrote a book entitled A Glimpse of the Kingdom. It was written in very simple language for the person who is seeking to learn what the Bible is about. I have said you can read all the words in a book but never understand the story. A Glimpse of the Kingdom was written to help the reader understand the story of the kingdom of God in the Bible.